Sweet serenity on 40 acres of ancient oaks w/cabernet sauvignon vineyard, 5-stall horse barn, large Western arena, 13 fenced pastures, pond w/fountain, greenhouse & wine cellar all powered by well & a huge solar array w/battery back-up! Charming main house boasts a gourmet kitchen, a window-walled sun room & large master bedroom w/updated bath. Guest house too! Retire here or make it your 2nd home. 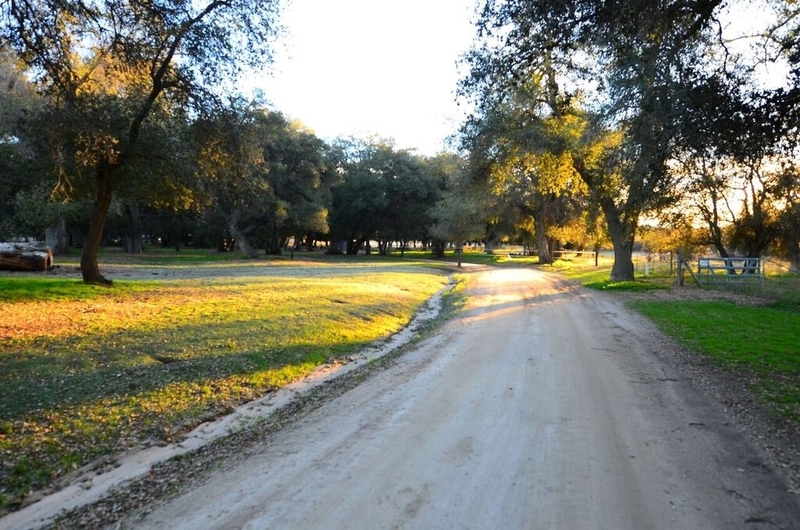 Kick up your feet & sip your own, private label wine as you soak up the sunsets and ride the local trails!, This is Chihuahua Valley's pride and joy... Rancho de los Robles. Over 500 mature oak trees, some over 200 years old, welcome you into this enchanted place of serenity as you wind through its 40 acres of natural beauty. This is a horse-lover's paradise and a sanctuary for the solace-seeker! The fish pond with fountain is a calming backdrop as you pass by 13 fenced, half-acre paddocks (with sprinklers) and happily grazing, well-loved horses. A 5-stall horse barn with breezeway and tack room, 40'x20' workshop/tractor/hay barn, 10-stall metal pipe breezeway mare motel, 60' round pen (7/8 gauge pipe with sprinkler), 2 horse free-standing pipe corrals with cover, small regulation size dressage arena with sprinklers, 150'x200' lodge pole Western arena with sprinklers make this an equestrian's heaven. A 180-panel solar array WITH battery back-up powers the entire ranch and a 21-gallons-per-minute well is all waiting for the lucky new owner. The approximate 1-acre, private cabernet sauvignon vineyard (with drip irrigation and overhead sprinklers) produces between 2 and 3.5 tons of grapes annually. The owners proudly store these annual bottles of cab in their 20', insulated, refrigerated wine cellar conveniently located right behind the main house and right next to their 8x10 irrigated greenhouse where herbs and veggies are grown to bless all who visit the ranch kitchen. The main house includes a gourmet kitchen with all high quality, stainless appliances, a sun room with views of the bright green lawn and tall oaks and a large master bedroom with roomy master bath. A mudroom with half-bath and lots of storage on the other end of the house makes ranch-living easy and two 40-foot storage (shipping) containers in one corner of the 40 acres lets you store your treasures to your heart's content! Guest house has one bedroom, kitchen, bath and living area with storage upstairs. A70 and "O" zoning designation for many types of animal raising and agricultural uses. Chihuahua Valley is located about 30 minutes from the popular Temecula Wine Country and about 45 minutes from Julian. It is a great little community with Hawk Watch Winery just down the hill, Sunshine Summit grocery store and other local wineries and restaurants just down Highway 79. Take a country drive and come soak up the splendor here!